Cheryl Esposito welcomes Beth Misner & Ivan Misner, co-authors of Healing Begins in the Kitchen: Get Well and Stay There. They co-founded BNI, the world’s largest business networking organization, and two charitable foundations. Beth & Ivan, a power couple committed to service, have touched millions of lives with the philosophy of business as a force for good in the world. The Misner’s success in life includes challenges, as well. Both have experienced cancer, each chose to address it without standard medical treatments. When Ivan was given the cancer diagnosis, he left the doctor’s office and created a list: “the potential positive outcomes of a cancer diagnosis.” Ivan & Beth are masters of focusing on positive possibility – a viewpoint that has served them in creating successes in business, personal, & humanitarian efforts. The cancer diagnosis was a call to action. Beth, business leader, T’ai Chi, Qi Gong & meditation teacher, researched to understand the immune system and the body’s natural ability to heal when supported by specific nutritional and spiritual practices. The result: a new way of living life, and complete remission of the cancer. Want to know what’s on Ivan’s list? 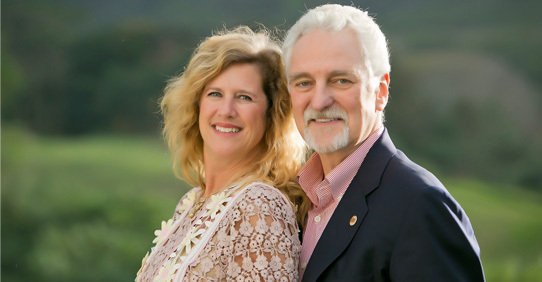 Join Cheryl Esposito with Beth Misner & Ivan Misner to learn how Healing Begins in the Kitchen!